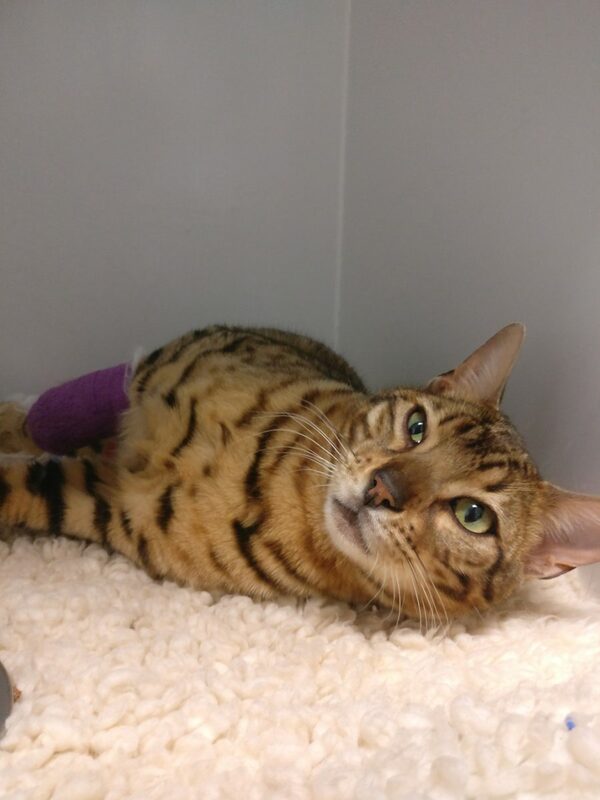 At the end of a busy day, Milo, a beautiful two-year old Bengal cat, is rushed in to Fitzpatrick Referrals by Sarada and Philip after being hit by a car. 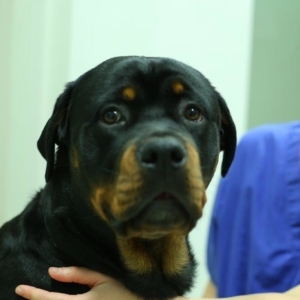 Milo’s life hangs by a thread, and when Professor Noel Fitzpatrick examines the x-ray pictures they reveal that Milo has broken his back and dislocated his spine. The nerve damage could leave Milo paralysed and incontinent. Sarada and Philip have to make a difficult decision; to try and repair the fracture in the knowledge that the operation may not be successful, or say goodbye to their much-loved cat. Noel agrees to do what he can but on the proviso that if the nerves are too damaged when he gets to see them, he will put him to sleep there and then. When Noel goes to theatre he discovers that the fracture is much more complex than the x-ray pictures and scans first indicated, and difficult decisions have to be made. 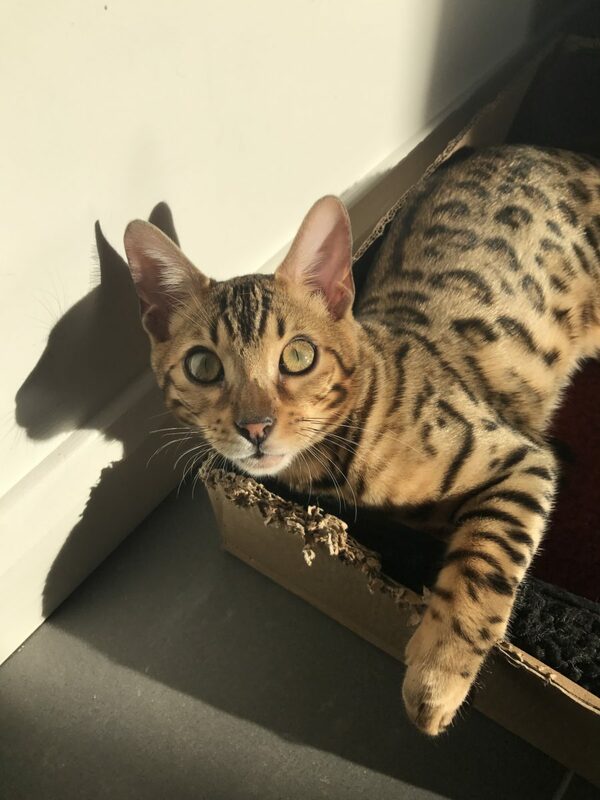 Young cat Milo lives with Sarada and Philip and is a much loved companion to both of them. 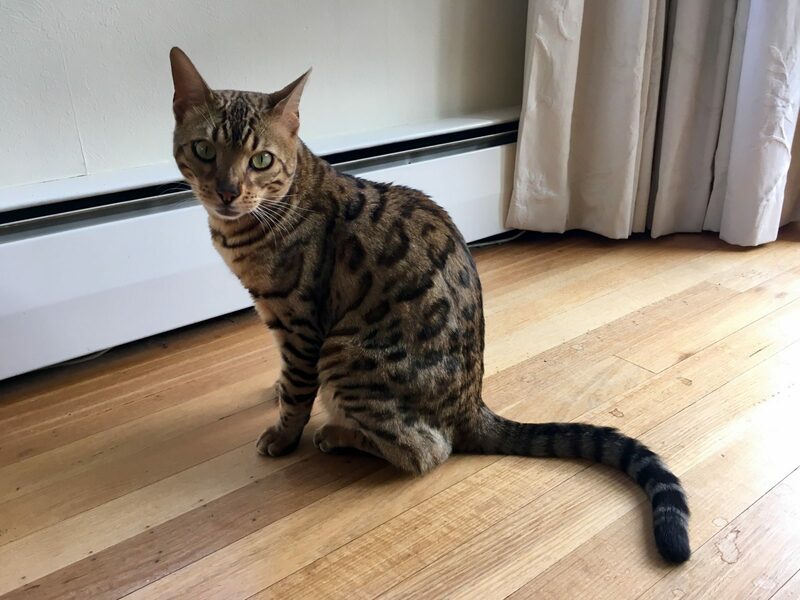 The couple got Milo when he was just a kitten and from a young age they could see how adventurous and lively his character was. Poor Milo was found by a passerby after being hit by a car and brought home in a bad way, unable to use his back legs. The couple took Milo straight to the vet who referred them to Fitzpatricks. The x-ray pictures revealed that Milo had broken his back and dislocated his spine, and on examination by Professor Noel he was very painful and was having difficulty moving his hind limbs. If left untreated, the nerve damage could leave Milo paralysed and incontinent. Sarada and Philip had to make a difficult decision; to try and repair the fracture in the knowledge that the operation may not be successful, or say goodbye to their much-loved cat. But there was a glimmer of promise and the family hoped that, because he was a young cat, he would have a good chance at a successful recovery. Milo went straight into surgery and Noel discovered that the fracture was much more complex than the x-ray pictures and CT scan first indicated and he had a very challenging task to navigate the damage site to repair it. In order to release the compressed nerves, Noel needed to realign the fractured spine and check whether the nerves were injured beyond repair. He saw that the important nerves had been damaged, but were not severed, so he carried on trying to realign the vertebrae. Whilst attempting to realign the vertebrae Milo starts bleeding profusely from the surgical site, and so it’s a race against time to get the spine and fragments back in place and stop the bleeding. An assistant pushes Milo’s pelvis up from beneath the drapes allowing Noel to gently push the spine from above and get it back in position. Working quickly, Noel secures the vertebrae together with a temporary pin, but more fragments are still out of place which require further careful adjustments to finally release the nerves and stop the bleeding. With the fragmented vertebrae aligned, Noel anchors them together with thirteen pins. He covers the nerves with a special collagen membrane and pours cement over them to stabilise the repair. The next few days were crucial, as even with the repair, Noel was not sure whether Milo would restore the use of his bladder, but the initial signs were good, as he started to venture on his back legs once more. Two weeks later Milo has a break-through, and starts urinating on his own. With this important sign, a delighted Sarada and Philip were able to take him home. Milo was placed on a strict regime of limited exercise and intense rehabilitation until his spinal fracture healed. He had weekly hydrotherapy to build up the strength in his back legs. 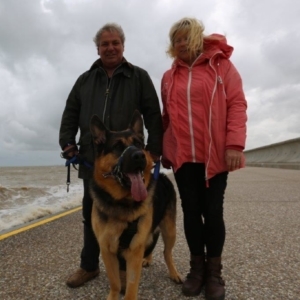 Three months on from his near fatal car accident, Milo was signed off by Noel and had made a full recovery. 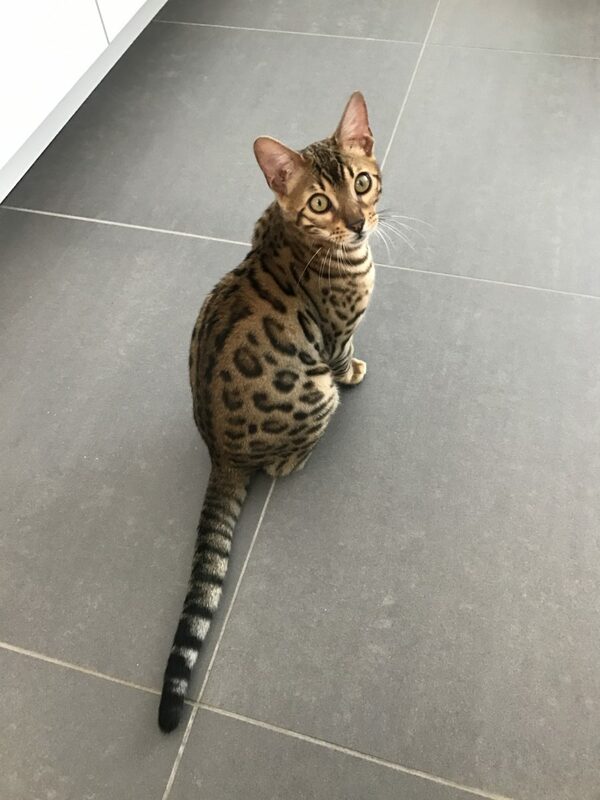 For such a young cat he showed an amazing amount of resilience. Sarada and Philip are delighted to have him home. He gives them endless amusement with his character and now they just to have to make sure he isn’t too adventurous!